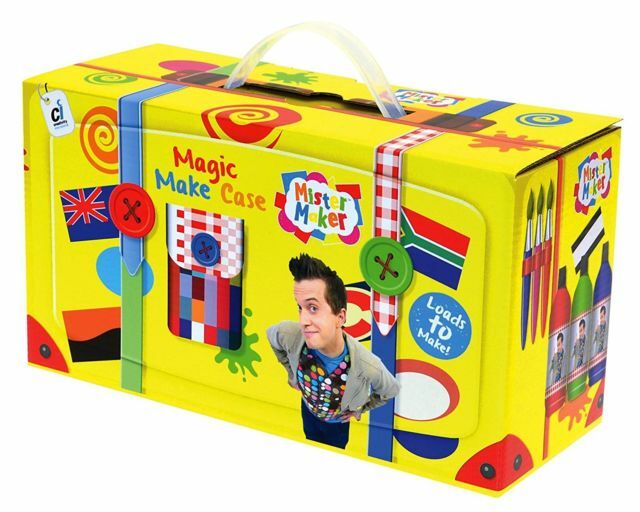 Packed full of crafty fun, the Mister Maker Magic Make Case contains all you need to let your imagination run wild! Based on Mister Maker's very own version as seen in his famous CBeebies TV programme, Mister Maker Around the World. Supplied in a sturdy storage box with a handy carry handle. Children will love having their own Mister Maker case full of brightly coloured craft items, to carry around ready to begin crafting! Contents may vary slightly from those shown.